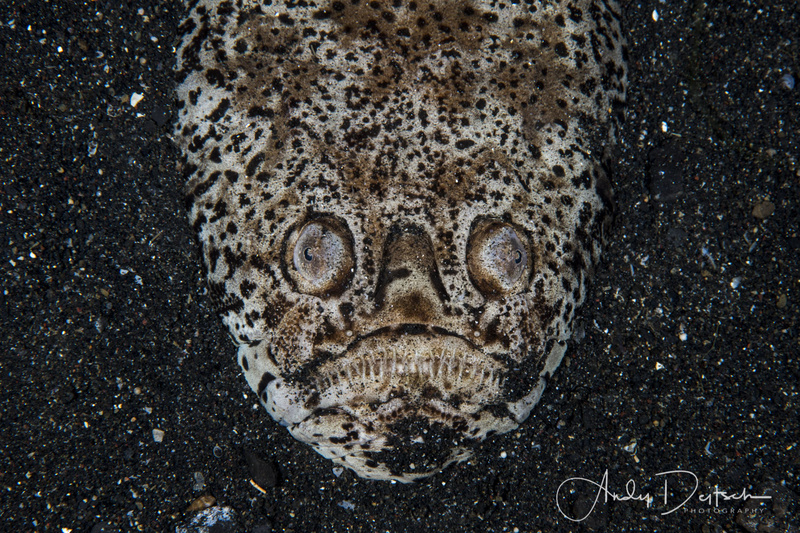 The stargazer is an ambush predator that typically is seen at night. It buries itself in the sand leaving just the top of its body exposed. This image was captured on a night dive in Lembeh, Indonesia. To get this shot, I am hovering above the stargazer and shooting straight down. My strobes (a pair of Inon z240's) and at the 3 and 9 o'clock position facing in towards each other. This creates more texture on the fish and gives it the creepy look.